Yesterday evening was particularly spooky as the terrifyingly atmospheric image attests. 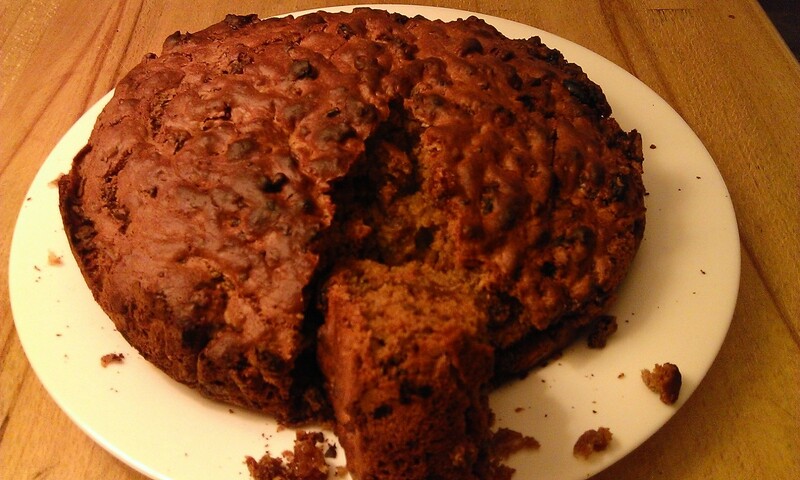 To distract myself from the raw fear of the unusually odd noises outside, I made myself a date and raisin cake. You can imagine the shock, and a sizable amount of horror, I experienced when I climbed the ancient stairs in our home and opened the door to the master bedroom. 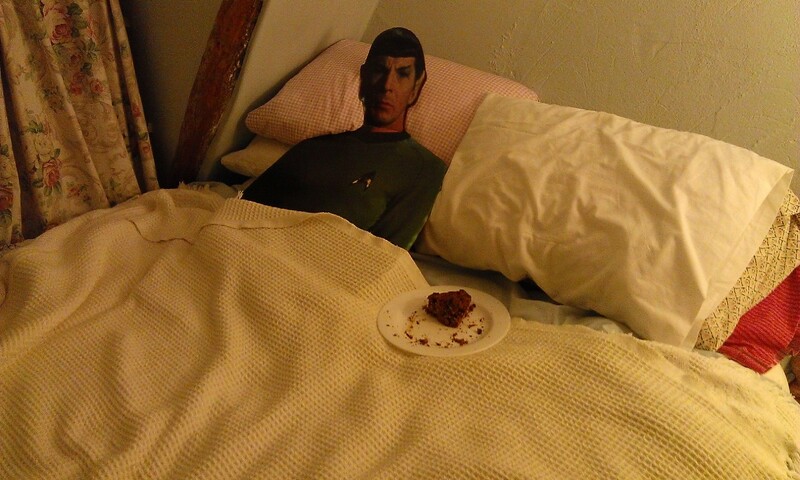 Spock, on my side of the bed and indisputable evidence of having consumed three quarters of my cake before it had cooled down. 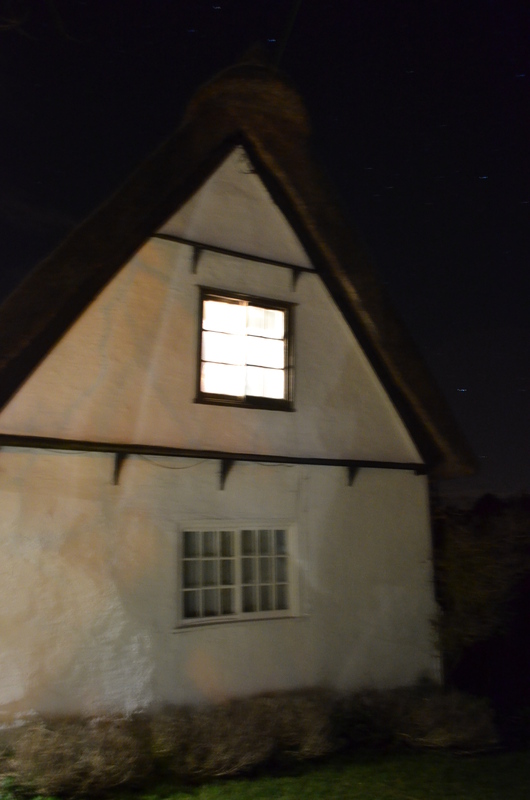 I remonstrated with him and demanded he beam up without delay. The sadness caused by the loss of my cake was assuaged by the decision to nip off to a 24 hour Tesco and buy new ingredients with a view to immediately bringing a new cake into the world. The journey turned out to be quite a trek. It was late at night. There was life in the store but not as I knew it. I gingerly negotiated the aisles and weird nocturnal shoppers, paid up and returned home. On the running front, I ran 13.2 miles plus a 5k parkrun last weekend and this went well. In two weeks it’s the Cambridge Half Marathon. Lorna will be giving good support and four of my children will be running as well as loads of friends. I’ll probably go for a further two long runs before the Half. I don’t carefully taper down before a long race. I just listen to my body, man; it’s in continual/continuous dialogue with me. Tomorrow is Cambridge parkrun. A running acquaintance in the 65-69 age range had a heart attack during a half marathon two weeks ago and apparently he will be starting the race with Peter who is in his mid 80’s and still runs. Well done, Terry. Get back to running fitness as soon as you can.